The X3 has always been a capable luxury SUV but one still doesn't see a lot of them on Indian roads. A certain rival from Ingolstadt is the preferred segment choice in the country. The current X3's predecessor in fact started the segment but the odd styling meant a lot of prospective buyers looked away. BMW fixed this by introducing the all new model that not just grew in size but most importantly looked a lot like its stylish siblings. But change is important and is the reason why the German manufacturer has now released the updated X3. There are quite a few changes and additions. It seems that most premium manufacturers need their models to look very similar to each other, in fact they are becoming so alike that at times it's hard to differentiate between them. Take a look at the updated X3, the new headlamps and bumper are now like the all-new X5's. So the headlamps now merge into the grille and the shape of the unit is similar, look at it head-on and many of you will think it's an X5. Not a bad thing, because it does look a lot more premium now. The contrasting colours used in the revised kidney grille also add to the styling. The twin headlights get projector lighting while the LED fog lamps are now positioned for better light throw. The entire front bumper is now different. Move to the side and it's the same silhouette one is used to seeing. A few changes have been made though, the turn indicators for instance have now moved to the new mirrors and chrome inserts replace the lamps on the fender. The wheels are a lot more sporty now, what you see in the pictures is the 18-inch light-alloy wheel that is standard in the new xLine package. The rear end is almost the same, the only addition being the new bumper. Inside, the cabin still offers good space and equipment. Depending on the variant, the interior colours and trim strips can be chosen too. 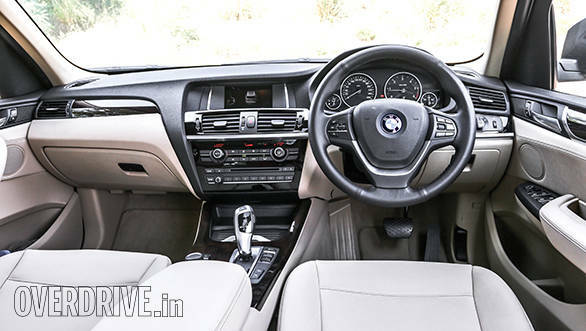 The test car featured a dualtone interior and beige leather upholstery although there are three trims and seven upholstery options to choose from. The quality of materials used is top notch while the fit and finish is comparable to other premium cars from the segment. New cup holders with a sliding cover are now available in the centre console . The updated BMW 2.0-litre diesel engine debuts in this, the all-aluminium motor features increased injection pressure that increases the power output from 184PS to 190PS, peak torque also goes up, from 380Nm to an impressive 400Nm. The engine is mated to an eight-speed ZF torque converter and offers smooth and quick shifts. BMW claims an increase in performance as well as efficiency, we tested the car and the results confirm the same. The X3 now does 0 to 100kmph in 9.1 seconds (0.3 seconds quicker). The quarter mile timing and roll-on figures have improved slightly as well. Fuel efficiency has gone up too. In town, the X3 returns 13.1kmpl while on the highway the figure increases to 18.9kmpl (up by 0.5 and 0.6kmpl respectively) The new motor may only be slightly more powerful but the real change comes in the form of improved throttle response and engine refinement. Driving in town is effortless, the motor is hardly audible and more petrol like. 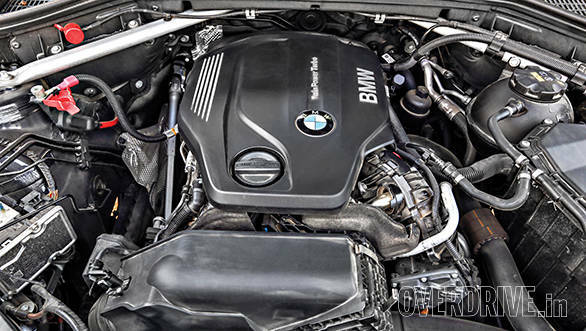 Like most BMW diesel engines, this new unit even revs a lot higher compared to its rivals. Out on the highway, the X3 cruises at triple digit speeds with even more ease as the engine is less stressed now. 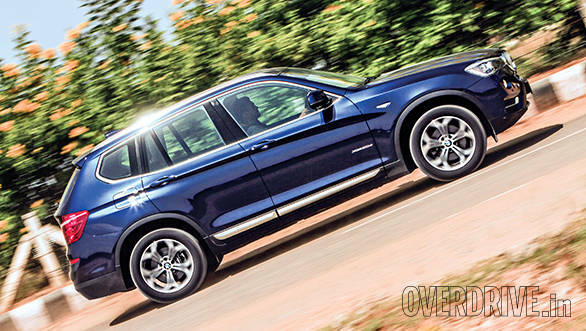 BMW's X range has always shone when it comes to dynamics and the new X3 is no different. Unlike the X1 though, the X3 features a perfectly weighed steering that offers good feedback as speeds increase. Parking and crawling through traffic doesn't need a lot of effort, making it ideal in town as Ride quality is good too, the suspension absorbs deep potholes and undulations well making it ideal on Indian roads. Optional damper control further elevates dynamics based on the situation. The X3 also features standard xDrive all-wheel drive. The intelligent system is similar to the outgoing model's, so it gets the same need based power distribution unit. A new xDrive status display (body roll and pitch functions) like in the X5 is now available and can be viewed in the control display. 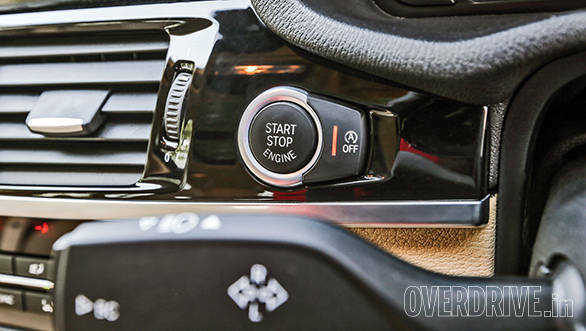 Start Stop function further improves efficiency. Every time a new X3 rolls out, it betters the outgoing model in every possible department, the latest update brings in better performance, styling and features all for a small premium. 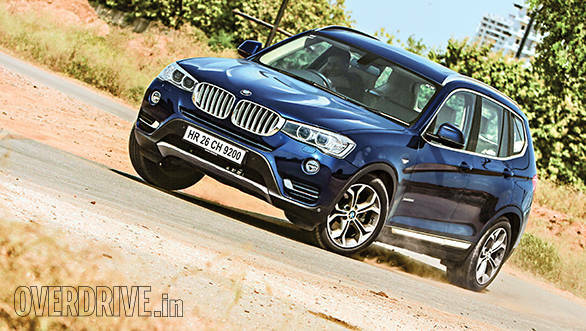 Two variants are on offer, the X3 xDrive20d Expedition and xLine. The xLine offers extra features like an extra Sport+ driving mode, damper control, power split and individual wheel braking, premium exterior and interior trims, panoramic roof, extra storage compartments, leather upholstery and 18-inch wheels. The Expedition is priced at `44.90 lakh while the xLine variant with the added features exceeds that by `5 lakh, both prices being ex-showroom across India. 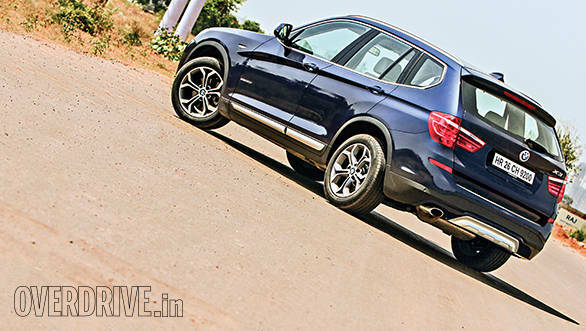 The X3 has never been this good, we only wish BMW hadn't dropped the more powerful xDrive30d for India.